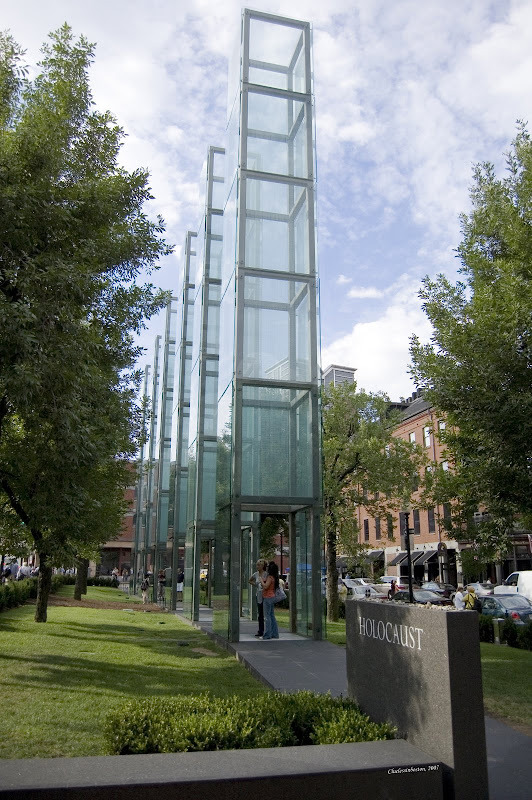 Located near Fanueil Hall, the six glass towers of the memorial represents the six major nazi death camps (Belzec, Auschwitz- Birkenau, Sobibor, Majdanek, Treblinka, and Chelmno). Each tower is made out of plates of glass that are etched with white numbers, which represent the registration numbers of the six million victims. To visit the New England Holocaust Memorial website click here.